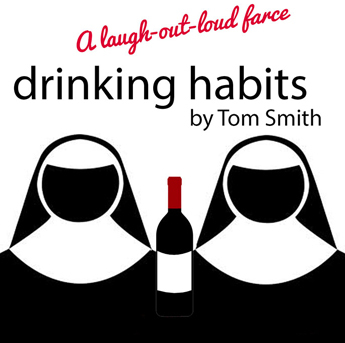 “Drinking Habits,” by Tom Smith, tells the story of two nuns at the Sisters of Perpetual Sewing who have been secretly making wine to keep the content’s doors open. But Paul and Sally, reporters and former fiancées, are hot on their trail. The two go undercover as a nun and priest, but their presence, combined with the addition of a new nun, spurs paranoia throughout the convent that spies have been sent from Rome to shut them down. Wine and secrets are inevitably spilled as everyone tries to preserve the convent and reconnect with lost loves. The ACT’s cast includes Melanie Dippel as Sister Augusta; Becky Terpening as Sister Philamena; Melynda Roberson as Sally/Sister Mary Mary; Cary Roberson as Paul/Father Paul/Sister Paula/Cardinal Redding; Murphy Davis as George; Lauren Austin as Sister Mary Catherine; Rebecca Griffin as Mother Superior; and Brent Hammett as Father Chenille. 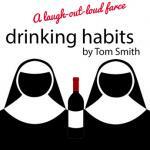 Performances will begin at 7:30 p.m. Feb. 16-18 and 2 p.m. Feb. 19 at Cottonwood Wine and Brewing. Tickets are $15 each and may be purchased from any cast or crew member, or by leaving a message at 748-3444. Tickets will also be available at the door as seating allows. Cash or check required; no credit-card purchases are available. Doors will open 30 minutes prior to each performance, and a cash bar will be available. The production is sponsored in part by HollyFrontier.